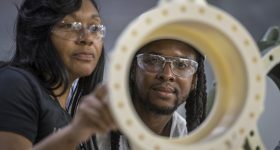 Elon Musk and his SpaceX project may have attracted the most attention at the recent 67th International Astronautical Congress (IAC), but as World Space Week begins today we present four enterprises using 3D printing to reach for the stars. 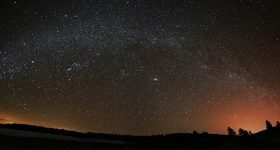 If the success of our effort is measured not by how many dozens of people we have sent to space but by how many hundreds, and thousands and eventually tens of thousands of people we have sent to space then that is the key measure. Because the more people we can bring back, the better we will be positioned to solve some of the greatest challenges facing the planet. 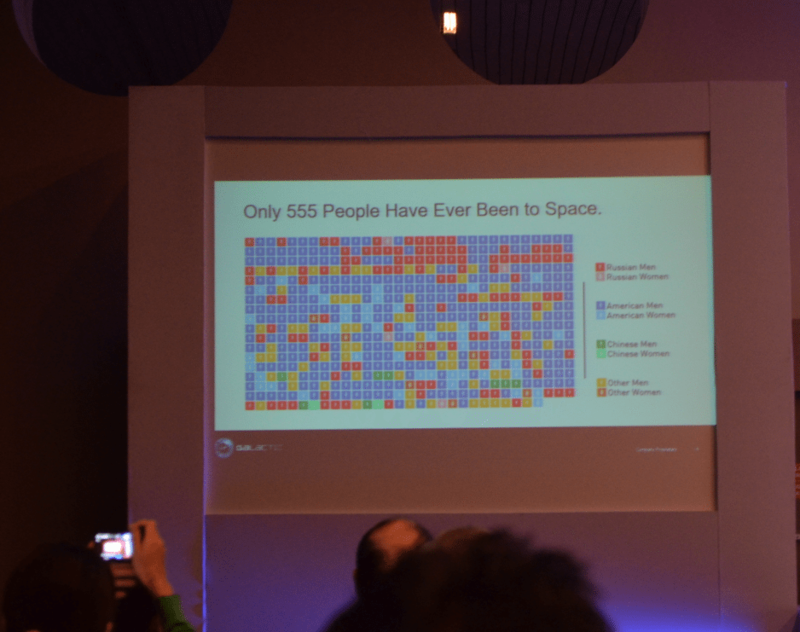 Very few people have been to space. Photo by Michael Petch. I asked Whitesides about Virgin Galactic’s partnership with DMG MORI, a leading producer of machine tools who have developed a hybrid 3D printer that combines subtractive techniques, such as milling, with additive deposition via blown powder. “We’re a big believer in additive manufacturing, particularly in engine production,” he tells me. We’re very proud to be working with DMG MORI. 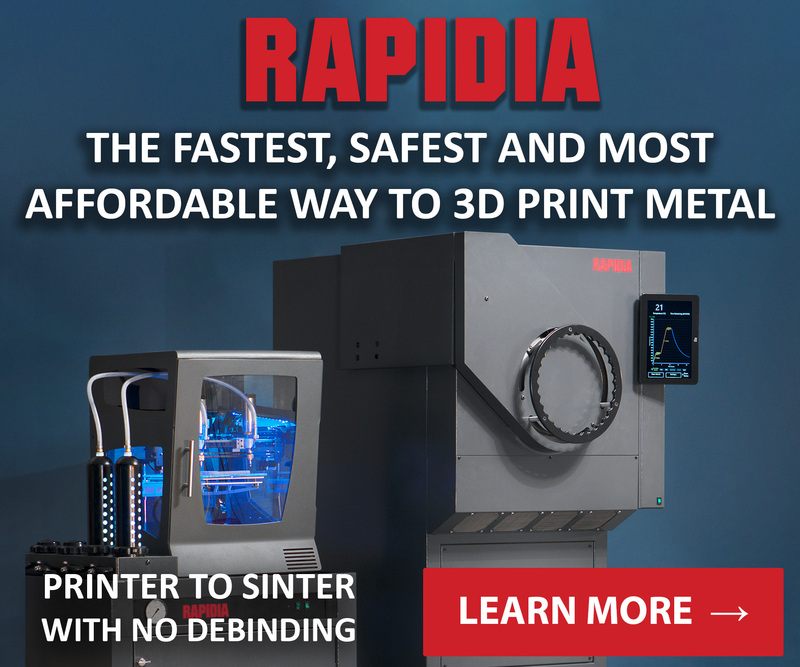 They have now produced what is called an additive and subtractive machine; it can form metal shapes [using an additive technique] and then change tools to take material out. 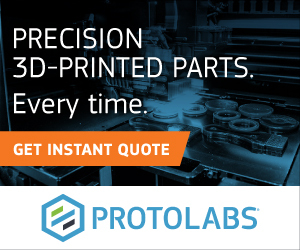 [This process is often referred to as hybrid manufacturing] and that’s a very important thing because the [geometric] forms you get with additive metal manufacturing are not possible with a subtractive tool. 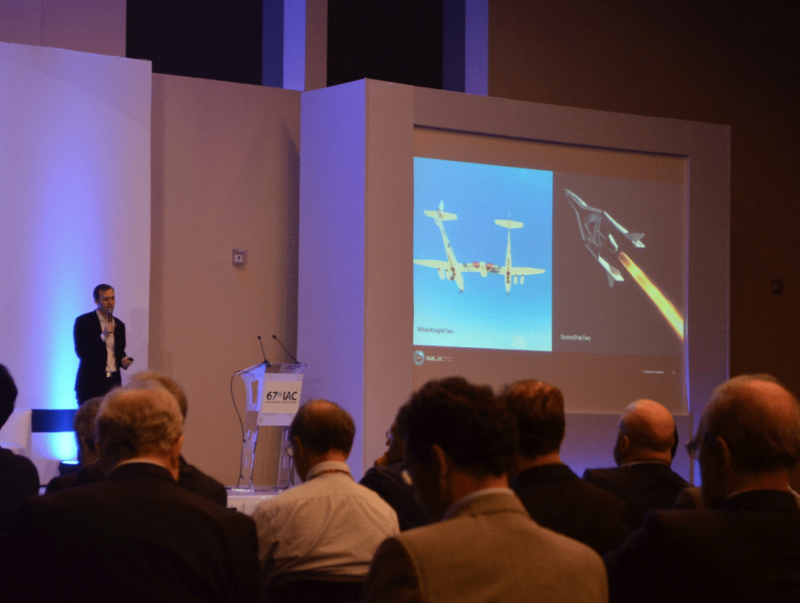 Virgin Galactic CEO presents update at the 67th IAC. Photo by Michael Petch. Like Musk, Jeff Bezos earned his fortune with an Internet company: Amazon rather than PayPal. Predictability parallels are often drawn between the two private space flight initiatives. 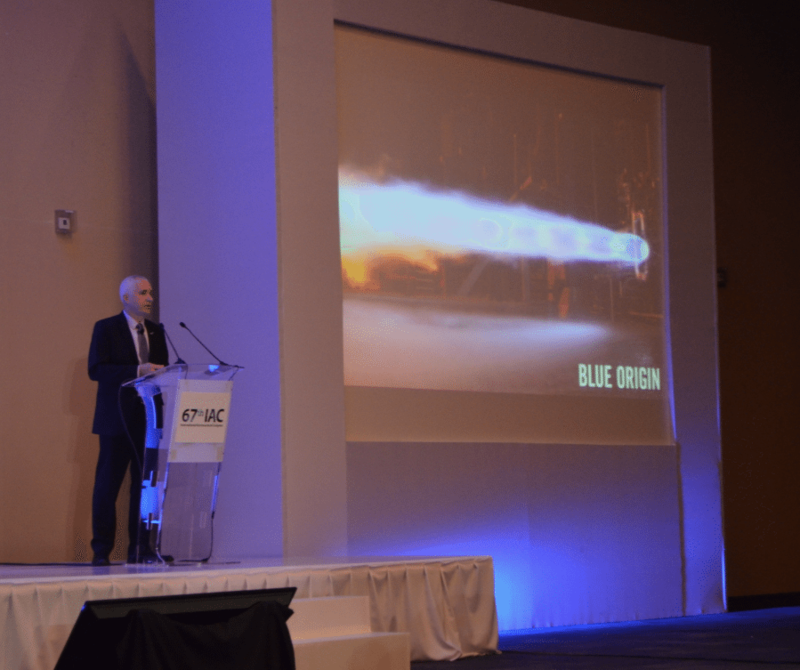 Rob Meyerson, President of Blue Origin at the 67th IAC. Photo by Michael Petch. 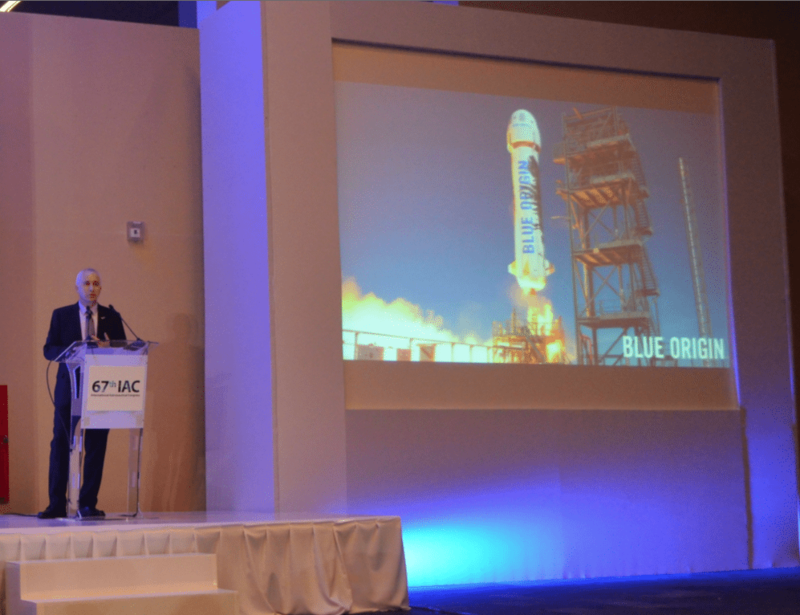 Meyerson explained that the New Shepard spacecraft has, “over 400 additively manufactured parts.” Blue Origin has also developed several generations of their Blue Engine (BE) series, of which the New Shepard system uses the BE-3 series to propel a reusable vertical landing spacecraft. About 45 seconds after liftoff at about 16,000 feet, we’ll intentionally command escape. Redundant separation systems will sever the crew capsule from the booster at the same time we ignite the escape motor. On Wednesday the test can be viewed live from 10:45 AM EDT (15:45 BST) here. Also, testing of the latest engine, the BE-4, is underway. 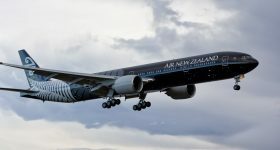 This is the largest engine produced by the company to date. It uses a mix of liquid oxygen and natural gas to deliver 500,000 lbs. of thrust. 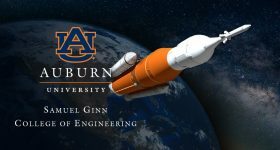 The engine will be used by the New Glenn launch vehicle with the first stage featuring seven of the engines and stage two a single BE-4. 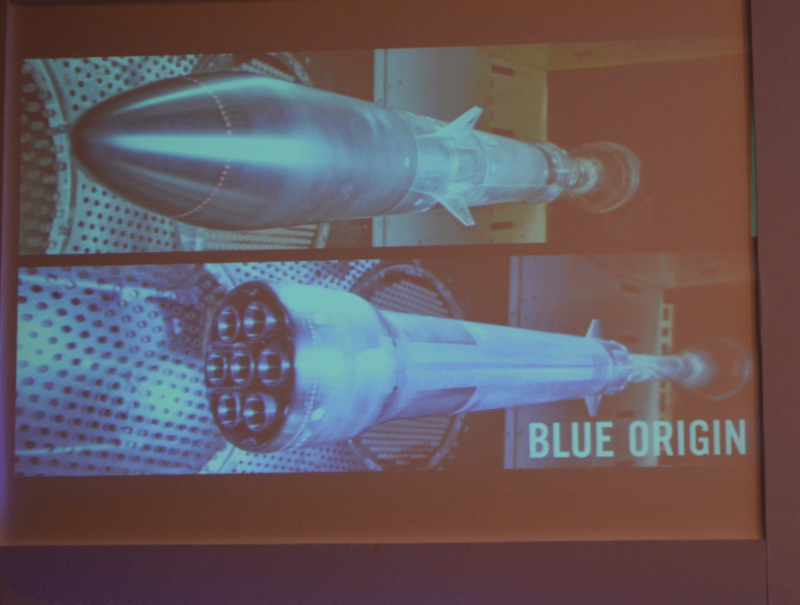 Rob Meyerson shows how the New Glenn compares to other rockets. Photo by Michael Petch. 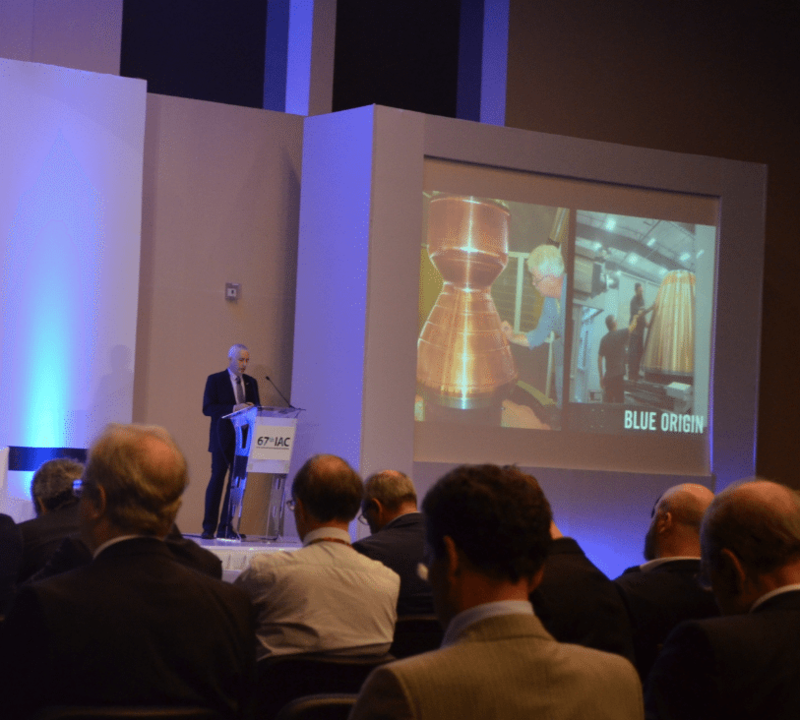 The Blue Origin President gives an example of 3D printed and rocket building. Photo by Michael Petch. Test firing the BE-4 engine. Photo by Michael Petch. Wind tunnel testing of Blue Origin’s New Glenn. Photo by Michael Petch. 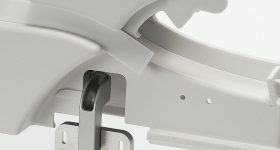 The work was partially funded by the UK Space Agency and it’s main objective was to deliver a step change in the development of resistojets. 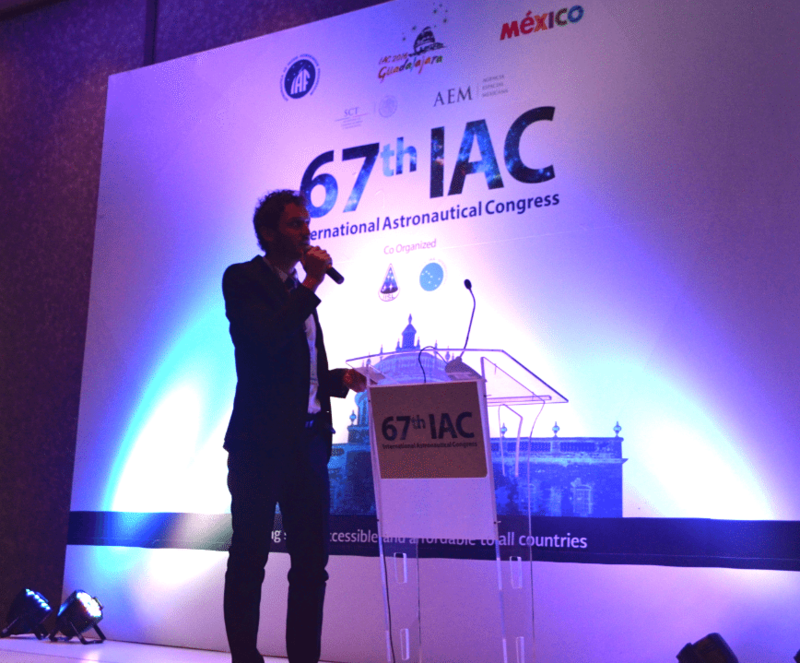 Federico Romei presenting his co-authored paper at the 67th IAC in Guadalajara, Mexico. Photo by Michael Petch. 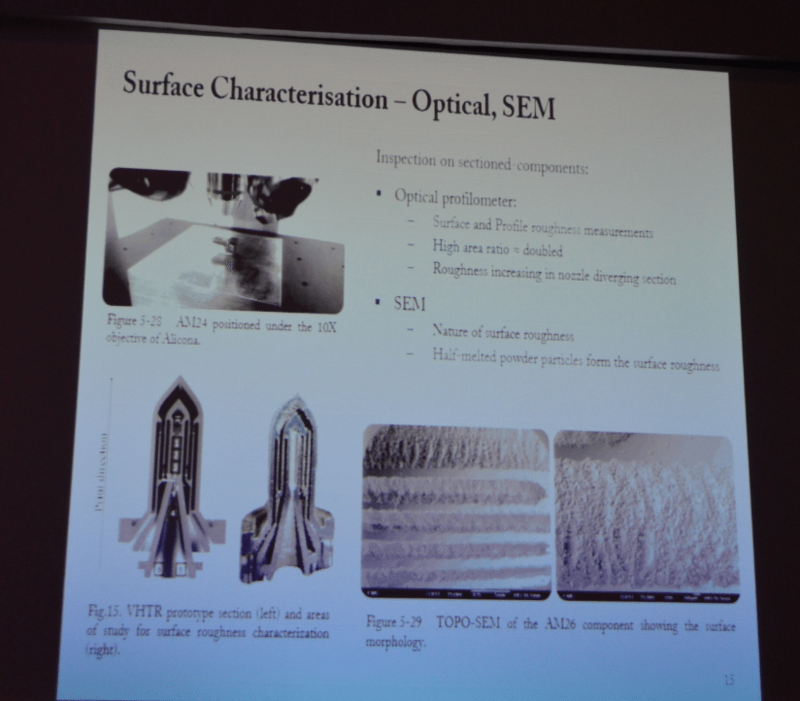 A slide showing the 3D printed VHTR from the co-authored paper. Photo by Michael Petch. Resistojet thrusters operate by heating a propellant using electricity. 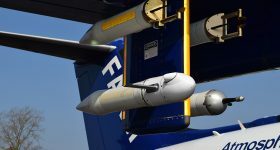 By recirculating the propellant through narrow channels while, “applying an electric potential” thrust can be generated. Currently traditional resistojets operate at temperatures below 1,300ºF, the Very High Temperature Resistojet (VHTR) proposed by the team at the University of Southampton and partners at Surrey Satellite Technology Ltd. (SSTL) increases this temperature to almost 5,000ºF. Such a project presents, “significant materials and design challenges.” The authors of the paper presented by Romei used a multiphysics simulation to model the thermo-fluidic behavior and refine the design using an iterative process. A prototype of the resulting thruster design was then 3D printed. 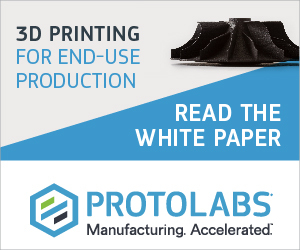 The research identifies potential savings and improvements in performance from this design, which could not be made with traditional manufacturing methods. Using the SSTL-300 small satellite platform as an example the 3D printed thruster could reduce the fuel required by 10kg, a saving of approximately $25,000 (20,000 GBP) or increase potential change in velocity, Delta-V, by 50%. The researchers used a Concept Laser M2 Cusing 3D printer to create the VHTR prototype. 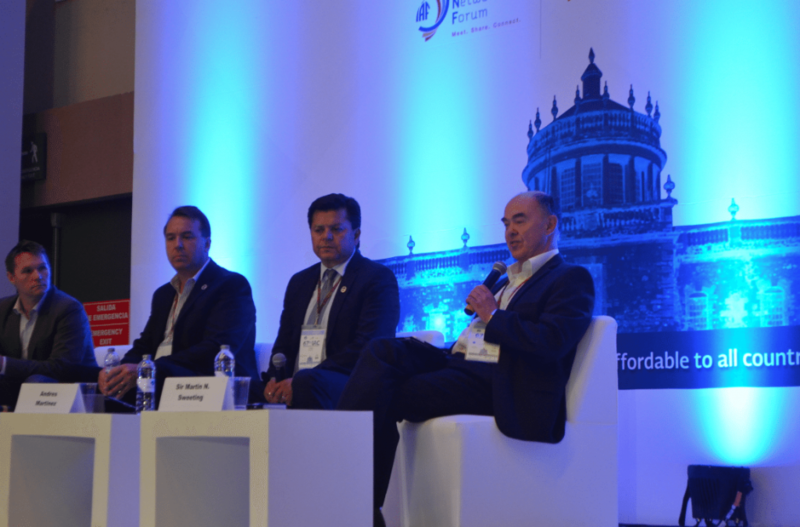 Sir Martin Sweeting, founder of SSTL and Group Executive Chairman, explained that rapid response satellites would, “change the economics of space” during a session at the IAC entitled Disruptive Space Technology. 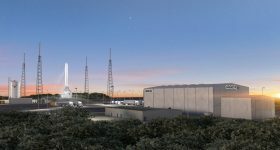 The panel included NASA’s director of Engineering, Dr. David Korsmayer, and Robbie Schingler, the co-founder and Chief Strategy Officer of Planet. 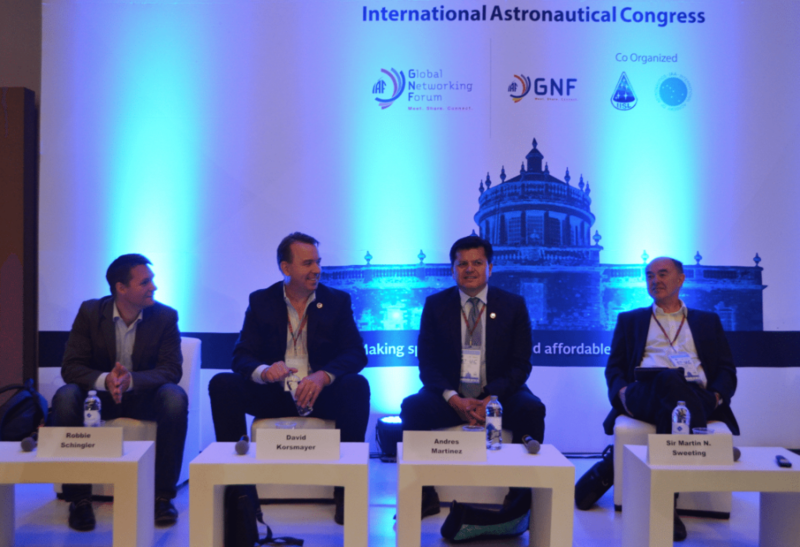 Robbie Schingler (Planet), Dr. David Korsmayer (NASA), Andres Martinez (AES) and Sir Martin Sweeting (SSTL) (left-right) at 67th IAC. Photo by Michael Petch. Sir Sweeting was introduced as one the most influential engineers in the UK and acknowledged by Schingler as the person, “who created” the small satellite industry. 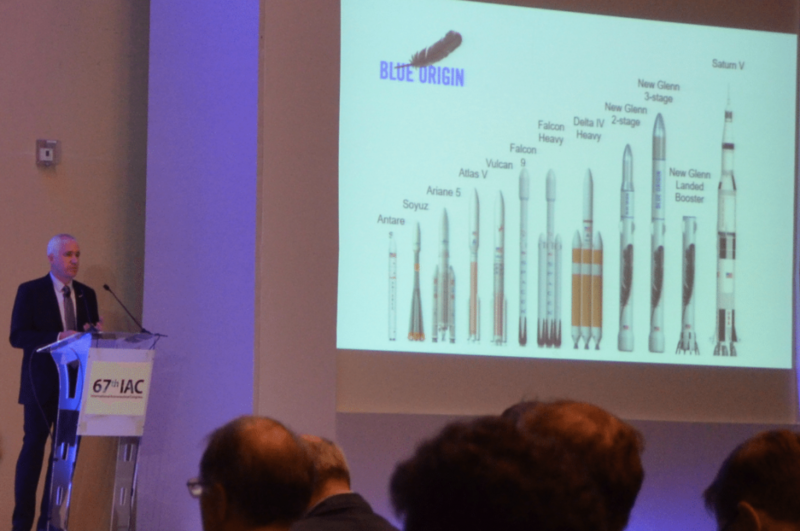 Sir Martin Sweeting speaking about Disruptive Space Technology. Photo by Michael Petch. 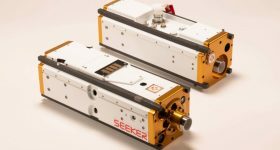 Since the early 1980s small satellites have evolved steadily in their capabilities and what is really important is their utility. This utility has grown to the point where over the last few years it is not only producing lower cost but also more responsive solutions to meet some of the very well trodden applications, but also at the same time stimulating completely new business models. 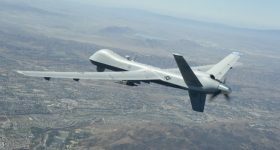 “This is fundamentally changing the economics of space for the civil and defense and security sectors,” he added. The principle enabling technologies behind this, “peaceful revolution” have come from the enormous investments made by, “the industrial and domestic consumer sectors.” For example PhoneSat, a NASA project which uses Commercial Off The Shelf (COTS) electronics: such as those found in smart phones to build small satellites. This is just a small sample of some enterprises working with 3D printing technology to explore space. 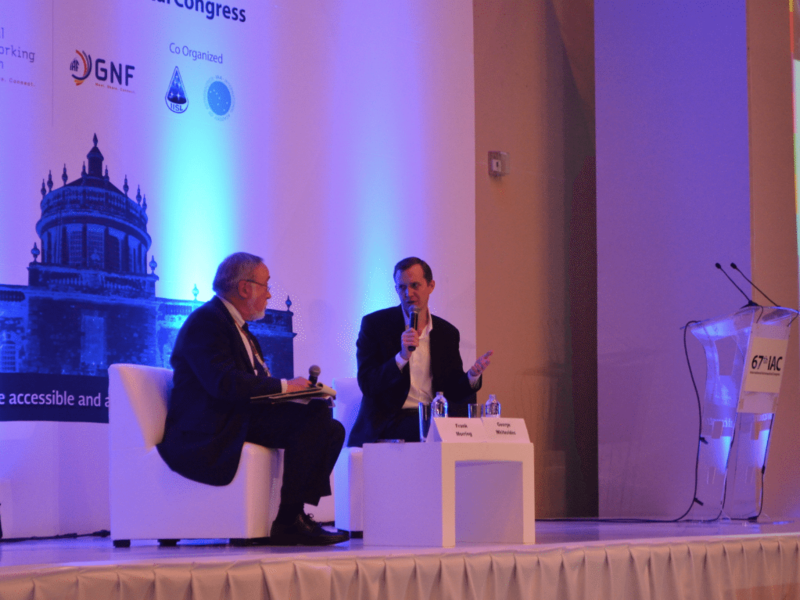 There are numerous others including the PT Scientists group who the director of the European Space Agency mentioned as an example of a project engaging the next generation of young professionals in research. 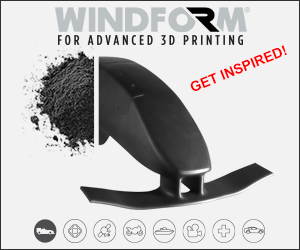 You can also read more about another company who are using 3D printing to build rocket engines here. 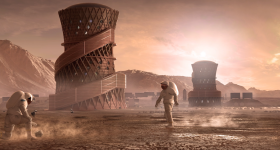 And as World Space Week continues we’ll bring you more news about 3D printing is at the center of some of the most exciting developments in the space industry.